This post is updated on Aug. 3, 2013. Last week I posted here in its entirety the essay Why Good Societies Stigmatize Anti-Semitic Language by Pascal-Emmanuel Gobry from a site called The American Scene. At the time, The American Scene was down. Now that the site is back up, and it is bad etiquette to reprint entire content from another site, I have edited the post to only have excerpts from the essay. You should read the whole thing because it is that good. I have added some of my own commentary and there is an interesting discussion in the comments section. All boldface is my own. The first obvious reason is that gun owners are not an ethnic group. In post-Enlightenment society, we recognize that people who are members of a group by choice are more open to criticism for being part of that group than people who are a member of that group by birth. I’m sure Andrew is well aware of how the emergence of a consensus of homosexuality as innate, and not chosen, has affected conversation about the gay community. We would cringe if President Obama (or a white Democratic politician, for that matter) was described as, say, “pandering to the Black Lobby” for addressing the NAACP. The second obvious reason is that there is no record in history of a totalitarian regime embarking on a plan to exterminate all gun owners as a group and nearly succeeding, or of a major figure of a currently existing thuggish regime calling for the extermination of gun owners, or of a disturbing number of clerics of a major world religion calling for holy war on gun owners, nor is there a constant drumbeat of examples of gun owners, all over the world and for all of recorded history, being victimized in various ways for being gun owners. The third obvious reason is that the language and ideology of gun owners’ alleged behind-the-scenes political influence, itself standing for a belief in their intrinsic malevolence and treacherousness, does not have a centuries-long history of being used as a spur for discrimination, mob violence, and massacres against gun owners. Our society, quite reasonably in my view, has developed a taboo against the use of words associated with group hatred, as a way to stigmatize said hatred. White people can’t use the n word in contemporary polite American society because that word is associated with the memory of white people who used that word and bought and sold black people as chattel. The fact that it’s possible in theory to be a Non-Racist White Person and still utter the n word is irrelevant—and quite rightly so! And the taboo is all the stronger because there still are white racists around who use the n word and want to hurt black people. And we think it’s wrong. So we stigmatize it. By the same token, and for obvious reasons, it would not be received in the same way if I wrote “Andrew Sullivan is gay” and if I wrote “Andrew Sullivan is a fag.” If I wrote the latter and defended myself by saying that I was only stating a fact, I would be ridiculed, for obvious and good reason. The word “fag” is not considered noxious because it refers to a gay person or because of the sound the syllable makes, the word “fag” is considered noxious because it is a symbol and instrument of group hatred. And expressions like “Jewish lobby”, which carries the anti-Semitic trope that Jews are a shadowy clique that secretely controls the government have been—for centuries, around the world, to this very day in some places—used as spurs to mass violence. Now, does this mean that it’s “impossible” to criticize the State of Israel, or America’s Middle Eastern policy, or AIPAC? Does it mean that Chuck Hagel is a dhimmi or an anti-Semite? Of course not. Does it mean that there are certain phrases that you may not use to be considered civilized? Does it mean you shouldn’t write just quite the same way about AIPAC—or the NAACP—as the NRA? Yes. Is this just? Absolutely. And I could just leave it at that, but I’ll press on, because it is (very) important and I haven’t seen formally spelled out the argument for the pressing duty of combating anti-Semitism in all its forms, including rhetorical, including accidental. In contemporary society, when someone earnestly screws up about race, the opportunity to assert moral superiority is so strong that the opportunity to explain is almost never taken. Taboos against using certain language against certain groups is always tied to the violence that has been exercised against these groups, because the language is seen, quite reasonably, as both symbolizing and facilitating that violence. And so, just like it would be impossible to understand the contemporary American taboo against the n word without understanding slavery and Jim Crow, if we want to understand why we have taboos against language that is redolent of anti-Semitism we need to talk about the Holocaust. Here there are several paragraphs about the horrific nature of the Shoah. Mr. Gobry asks "how is the Holocaust relevant today"
There are several reasons why. The first and most obvious one is that anti-Semitism is alive and well today, and eliminationist anti-Semitism to boot. The other reason why the Holocaust is very relevant today is that for all the evil genius of Hitler and his acolytes, it was enabled precisely because of the pre-existence of anti-Semitism. The anti-Semitic tropes that the Nazis believed, used and reinforced have a very long history—one that continues up to this day. In some corners of the world, The Protocols of the Elders of Zion are still brisk sellers. Not in America, of course—no, we’re above that. These anti-Semitic tropes—the idea of the plotting, scheming Jew, of a Jewish Lobby which controls the government behind the scenes, of the traitorous Jew who serves Zion and not his homeland—they were the fertile terrain from which genocide could spring. And it is an ever-fertile terrain: while the Holocaust obviously stands unique, Jews have been the victims of anti-Semitic violence in every era, in every country, down to this day. And anti-Semitic tropes are the enabler and the spur. Indeed, there is a connection between language to attitudes to actions. 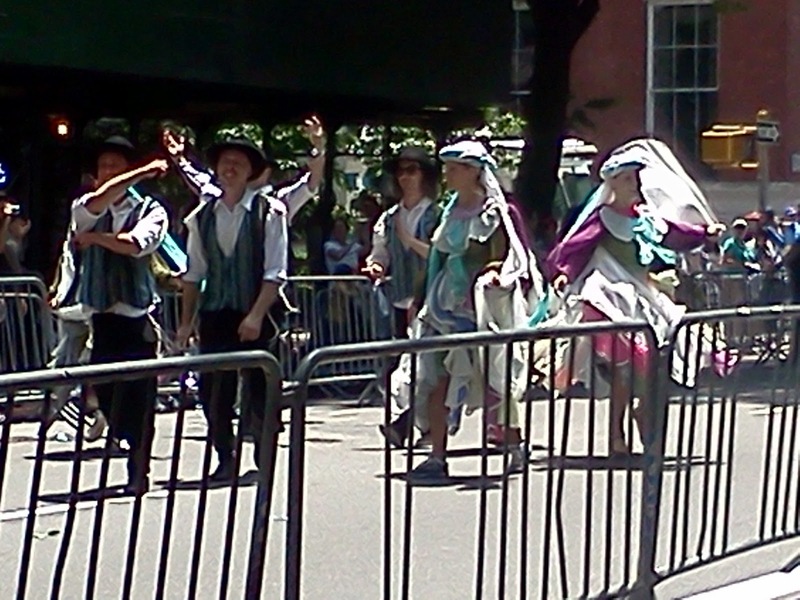 I agree with Mr. Gobry we should eschew the use anti-Semitic tropes. I fear we are being conditioned to see harm to Israel or even Jews as not all that tragic, as "didn't they deserve it anyway for being so evil?" I would also add one point when responding to Andrew Sullivan's initial inquiry. Sullivan is writing about comments on the gun lobby following the failure of the Senate to pass legislation that would expand background checks on gun purchasers. The legislation had the support of nearly 2/3 of the American public. Gun violence is definitely harmful to Americans. As the Senators voted against the wishes of their constituents, we can talk about "obeisance." 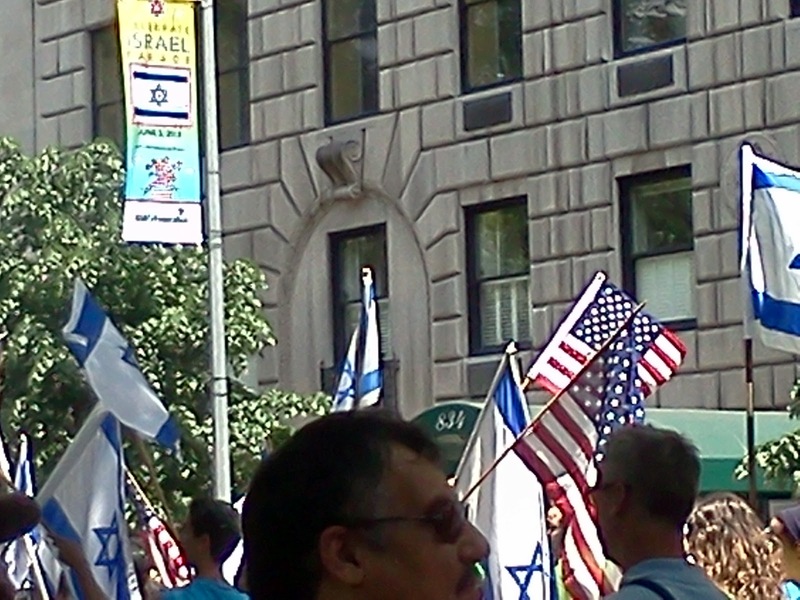 However, the sympathies of nearly 2/3 of Americans are with Israel. 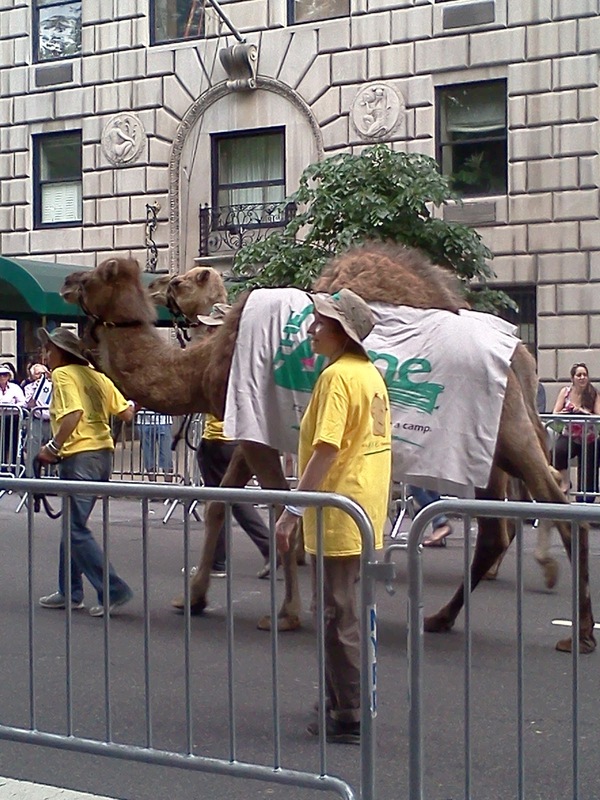 The benefits of the US-Israel relationship are well documented. 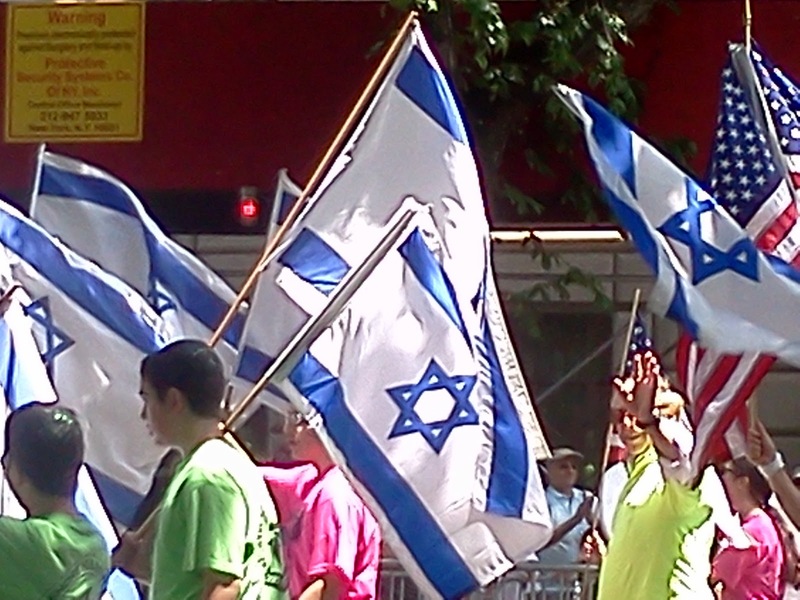 Congressional support for Israel is consonant with the wishes of the American people. Using the word "obeisance" would be a mischaracterization, to say the least. I am indebted to her for undisputedly making clear to us that the BDS Movement is an opponent of peace between Israelis and Palestinians. Genuine peace makers demonstrate the commitment to peace and justice by working to "normalize" the relationships between people previously in conflict. They work to establish sustainable peace by addressing root causes of conflict through reconciliation, institution building, and political and economic transformation. Peace builders will find ways to increase cooperative contacts between opponents, open channels of communication, get people involved in joint projects, break down stereotypes, and reduce prejudice and discrimination. The goal of all of these efforts is reconciliation – getting the people to accept each other as part of their own group or be reconciled to mutual co-existence and tolerance. In no uncertain terms, she makes clear that BDS opposes the processes that lead to reconciliation and end of conflict. She describes a session on strategies to combat normalization. BDS rejects all cultural, academic, economic, environmental and social cooperation with Israel. Peace building initiatives such as dialogue with Israelis, travel to Israel, and scholarships to Israeli universities were denounced. By opposing normalization, BDS works to undermine support for the Palestinian Authority (PA) to reach a political agreement with Israel. Indeed, BDS even opposes the PA’s security coordination with Israel. In other words, BDS does not want the PA to engage in the prevention of terrorist attacks against Israel. BDSers claim normalization is offered as a substitute for a political settlement, and therefore they oppose it. They ignore the fact that creating personal relationships is a necessary condition for finding solutions based on mutual respect and recognition that can lead to successful and lasting ends of conflict. 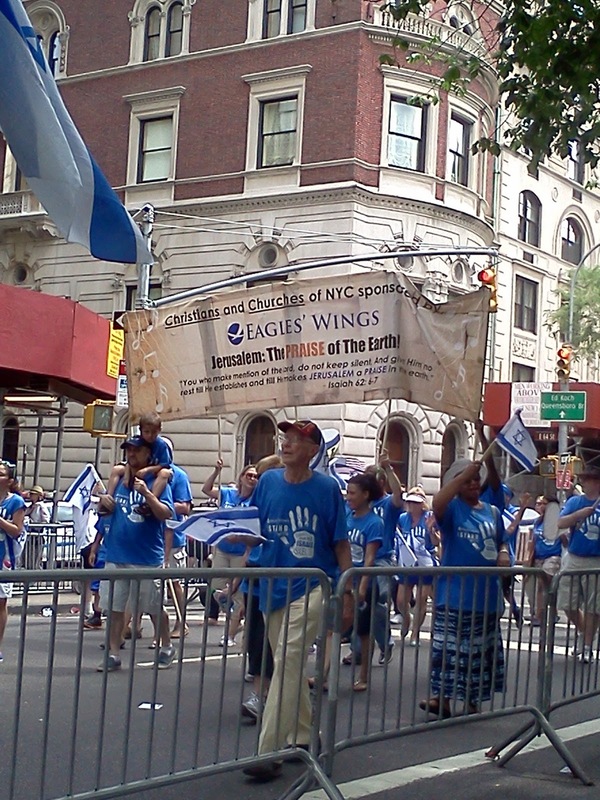 Today I attended the Celebrate Israel Parade in New York City. It was wonderful and uplifting. I spend far too much time reading all the horrible things the Israel-haters and the Jew-haters say. 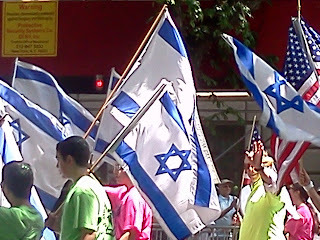 Today was a day for sharing with the tens of thousands who support Israel. You could feel the love. Here are a few pictures I took. I tried to get the unusual or the interesting. 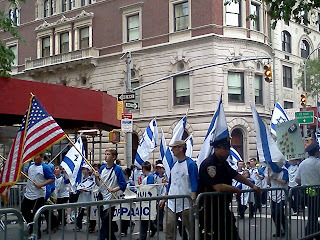 I love seeing the flags waving as the marchers carry them up Fifth Avenue. 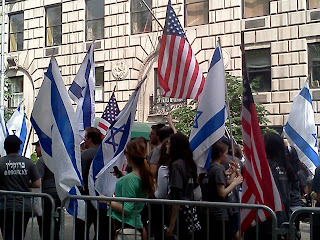 The United States flag together with Israel's flag. 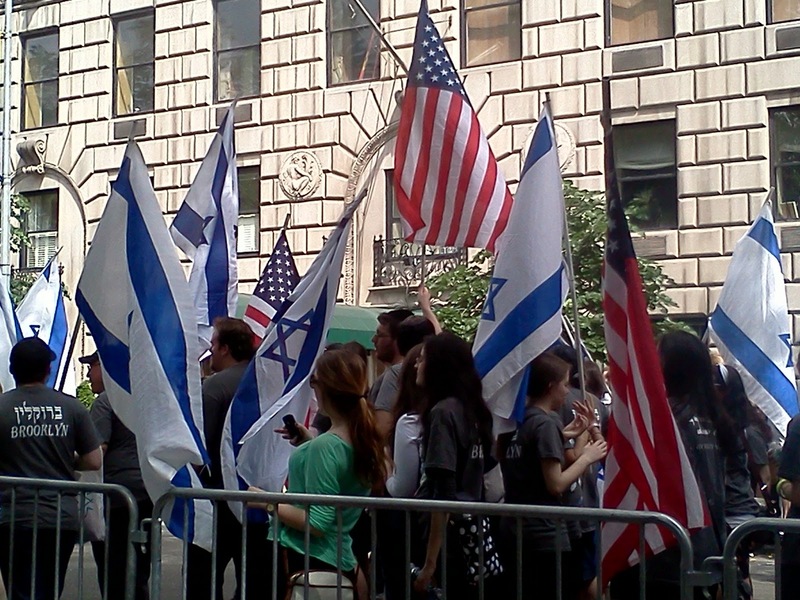 When I see all Israeli and American flags #togetheronfifth I remember how much #BDS also hates America. 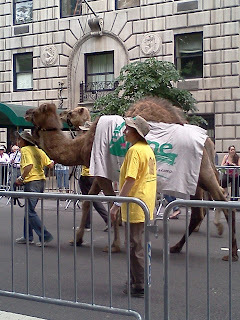 In addition to the synagogues, federations and Jewish schools, I saw this group "Christians and Churches of NYC"
Hey, look at that camel on Fifth Avenue! In your face, QAIA. 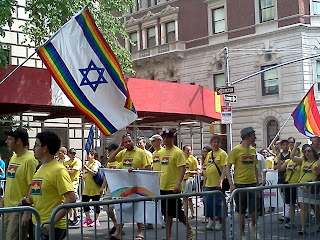 LGBT Jews and Allies Celebrate Israel. If you do any kind of Israel advocacy reading on the internet, you will eventually stumble upon the remarkable efforts of Adam Levick and others at CiF Watch. CiF refers to "Comment is Free," the website of the British leftist newspaper The Guardian. If you think the things that were written in the Park Slope Food Coop were bad, they are nothing compared to what is regularly said in the United Kingdoms. One of the most frustrating things about opposing BDS is that the people who support it see themselves as progressives. If you point out that their position is inherently anti-Semitic, they deny anti-Semitism saying "criticism of Israel is not anti-Semitic" and accuse you of trying to stifle debate. They truly don't see themselves as anti-Semitic and actually get quite irritated when you suggest anti-Semitism. Even though the U.S. State Department has a definition of anti-Semitism, the editors of the Linewaiters' Gazette - the biweekly newspaper of the Park Slope Food Coop - seem to be unable to make the distinction, and recognize when their own editorial guidelines have been crossed. But it is hard to fault them. It is a volunteer job and they shouldn't be expected to be experts on the Middle East. Fortunately, for the sake of anyone who doesn't want to be anti-Semitic, Adam Levick has created this handy guide of 10 common pseudo-progressive, hypocritical tropes that come from the left when discussing Israel. Here is his list, and I can illustrate an instance of every single one of these from either letters in the Linewaiters Gazette, statements on the PSFC-BDS website or things said in the Coop. Maybe I will even have the time to do it one day. You claim the mantle of human rights yet find yourself running interference for anti-Semitic world leaders and helping to spread the propaganda of Islamist extremists - and even terrorist leaders who openly call for the murder of Jews. You claim to condemn racism at every opportunity yet are strangely silent or seriously downplay even the most egregious examples of antisemitic violence. You claim to be a champion of progressive politics yet often use terms and advance tropes indistinguishable from classic right wing Judeophobia - such as the argument that Jews are too powerful, use their money to control politics, and are not loyal citizens. You support nationalism, and don’t have a problem with the existence of more than 50 Muslim states, yet you oppose the existence of the only Jewish state in the world. Even when putatively condemning antisemitism you can’t help but blame the Jews for causing antisemitism. You condemn the Holocaust yet also obsessively condemn living Jews for their alleged ‘inhumanity’ and even argue that Jews haven’t learned the proper lessons from the attempt to annihilate their co-religionists from the planet. You not only support Palestinian rights, but support their “right” to launch deadly terrorist attacks on Israeli Jews, under the mantle of anti-imperialist ”resistance”. You characterize extremist reactionary Islamist movements as “progressive“. You accuse Jews of cynically misusing the charge of antisemitism to “ stifle” debate about the Jewish state. You champion diversity and multiculturalism of all kinds, yet suggest that Jewish particularism represents an inherently tribal, ethnocentric and racist identity. You should read the original article and comments at the CiF Watch blog. Does Food Coop Membership Determine Your Politics? Sometimes they say "The Food Coop is inherently political." Sometimes they say "Food is inherently political." They will say it as a justification for promoting and seeking Coop endorsement of a particular cause. But is such a statement true? Indeed, does it even have any meaning? The definition of inherent: "Existing in something as a permanent, essential, or characteristic attribute." The definition of political: "Of or relating to the ideas or strategies of a particular party or group in politics. Having or influenced by partisan interests." Can food have a partisan interest? No. Food is an essential human need. How about the Food Coop? Well, it might have a partisan interest regarding things directly related to its operation, such as the traffic on Union Street. But is a diverse Coop membership not entitled to a diversity of views and allegiances? If the Coop is "political," then exactly which politics must it support? The Park Slope Food Coop makes high quality food available at lower prices to anyone who is willing to put in about 30 hours of a labor a year. It also strives to purchase from local farmers and producers. And it tries to use and encourage the use of the most environmentally friendly practices. But here comes the jump in logic. Because the Food Coop does all these things, is it also obligated to lend support to any cause that a member claims is consistent with the Coop's mission? The promoters of various causes would say "yes." The Coop is a great place for delicious, inexpensive food, and it’s also where we can talk about the politics behind what we eat. Food sovereignty, environmental racism, water supply threats, labor struggles, urban agriculture initiatives, geopolitical issues, international solidarity—these forces are inevitably mixed into what we put on our plates. What are our opportunities and responsibilities as New Yorkers, as consumers, and as Coop members? Come participate in a lively and diverse discussion. Are they to tell us we have responsibilities beyond our monthly work contribution to support their particular causes because we are Coop members and they say so? There are differences between an interest, a privilege, a right and an obligation. Anyone can have an interest in using the Coop to promote a particular cause. However, it is a privilege, not a right to do so. The Coop is not obligated to provide its support. It is not even obligated to provide a platform. And certainly the membership is not obligated to agree. Should the Coop allow the promotion of any cause by any member? Or should it have some criteria before allowing the use of its facilities? Tonight's program will include an anti-fracking advocate, a labor advocate, an urban farming advocate and a sustainable food advocate. They will be sharing the panel with one of the Coop's BDS activists. The wording of the program implies the mutual endorsements of all parties. BDS is not pro-peace. 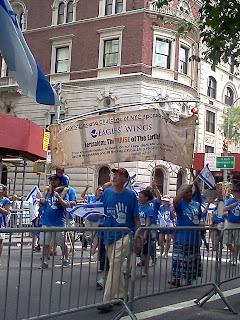 BDS is a racist movement that denies self-determination to the Jewish people. BDS provides support and coverage to terrorists. BDS is hypocritical in its very essence, selectively ignoring human rights issues. BDS does nothing for the well-being of Palestinians. 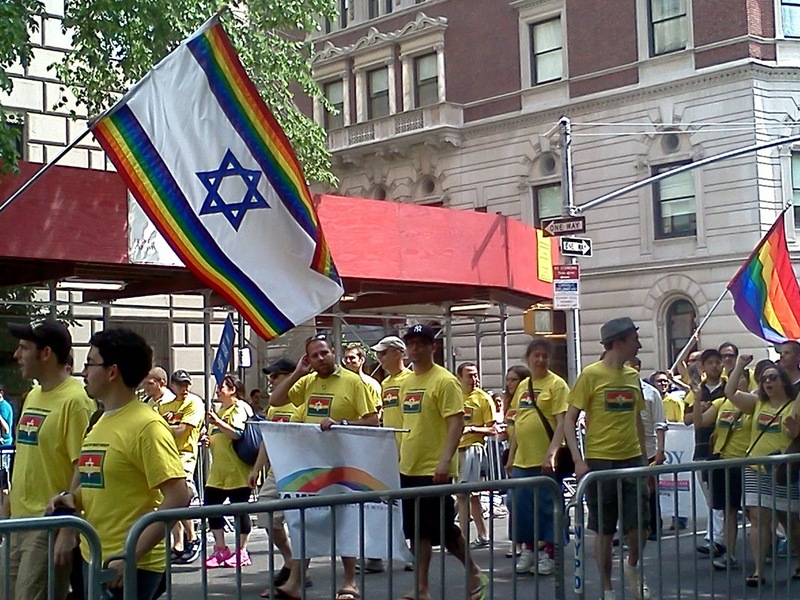 BDS is not a progressive cause. Association with BDS undermines credibility. Once again, BDS in their own words. I admit I understand very little about the economics of the health care system. LICH is run by SUNY Downstate Medical Center, part of the State University of New York, which has said the hospital is losing so much money it is threatening the rest of the medical center. SUNY officials have also noted that many of the affluent residents of northern Brooklyn prefer to seek medical care in the more prestigious Manhattan hospitals, leaving LICH dependent on poorer patients whose government health insurance — if they have it — pays less than private insurance plans. It seems to me that hospital is being used - just not used by the "right" people. It also seems to me that a way should be found to save the hospital so that is can continue to serve Brooklyn. Apparently, the Park Slope Food Coop has put its reputation behind supporting efforts to save the hospital, as the Times reports: Park Slope Food Co-op Takes Up New Cause: Saving a Hospital. All that is good. Now I would think a newspaper article should provide me with some relevant information so I could be informed about the issues regarding LICH. Actually, I would have had to read down 4 paragraphs until I found the one above which describes the core issue of LICH's problems. 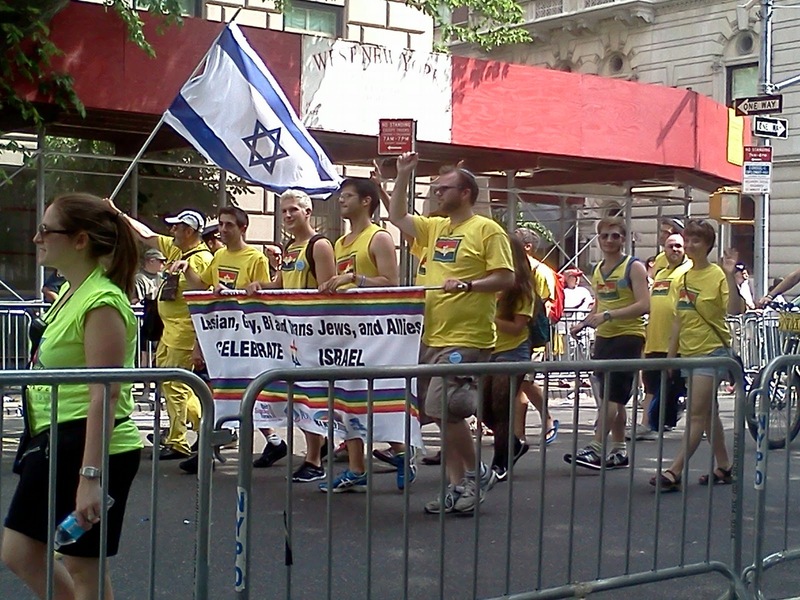 So just how did the Israel-obsessed New York Times open the post? The Park Slope Food Co-op, which fought a veritable civil war over whether to boycott Israeli products, has taken on a new cause célèbre: the fight to save Long Island College Hospital. "The Park Slope Food Co-op (spelled wrong by the Times) has joined the fight to save LICH," is the only relevant informations that should be in the lede. Instead, a worthy and serious cause is mocked as "a new cause célèbre." The Coop - where only 650 out 16,000 members voted in favor of the Israel boycott referendum (which was soundly defeated by our efforts one year ago) - is smeared as a bastion of support for the anti-Semitic, terrorist-sympathizing, Israel-eradicating BDS movement. The Times manages to link supporting LICH and the Coop with supporting BDS. Way to go. If you want to be taken seriously for your community actions, then carefully consider the bedfellows you keep. What is Right to Speak? I would like to suggest what I believe to be a better, more objective rubric to be used to determine what should or shouldn’t enjoy the platform offered by the college campus or any other responsible civic organization: honesty. A presentation should be honest in 3 ways: explicitly, implicitly and intellectually. Explicitly honest means a presentation is factually correct. I think this is pretty straight forward. A team of several masked, well-armed men break into a man’s home in the middle of the night and shoot him in front of his family. As they leave, they steal his computers. You are probably feeling one way about the victim. Now I tell you that I have just described the killing of Osama Bin Laden. Context changes everything. Finally, intellectually honest means that conclusions and opinions are supported by the evidence, that counter evidence is not ignored, but can be explained, that cause and effect are not reversed, that correlation is not confused with causation, etc. It seems to me this standard could be applied to any presentation, controversial or not. As far as I remember, it was the standard for scholarship back when I went to college. Maybe it could be used to determine what makes a "contribution to the intellectual life of the campus" and should be part of "the open and free exchange of ideas." How does BDS fit into this? That is for next time. Should Hate Speech Be Permitted on the College Campus? Should "academic freedom" include hate speech? Should hate speech be permitted on the college campus? Should a college department co-sponsor hate speech? Can hate speech be a "contribution to the intellectual life of the campus" and part of "the open and free exchange of ideas"? Butler excludes hate speech from not only from college sponsorship, but even from use of the college facilities. First, students have a right to invite whom they want. Second, officials of the university, however, should not lend the good name of the university to such hate by sponsoring or giving its seal of approval to such appearances. And third, when students invite hateful speakers— which they have the right to do—university presidents would do well to use their bully pulpits to reject those messages of hate and anti-Semitism. Both agree the college should not endorse hate speech. Butler would even exclude a student group from using college facilities for a hate event, whereas Foxman would permit it. Of course, this doesn't resolve the question of how to identify hate speech. That is for next time. In a week when more than 1200 people were killed in the Syrian Civil War and at least 25 people were killed in Iraq in the 7th and 8th suicide terror attacks there since the beginning of the year, it seems an inordinate amount of media attention was focused on the speaking engagement of Omar Barghouti and Judith Butler at Brooklyn College. Controversy erupted when it became known that the college's Political Science Department signed on as a co-sponsor of the student organized event to promote the Boycott, Divestment and Sanctions (BDS) Movement against Israel. By cosponsoring student-initiated events, we’re not endorsing the ideas expressed. We’re not providing money. What we are doing is acknowledging students’ contributions to the intellectual life of the campus and supporting the open and free exchange of ideas. And there’s no political litmus test. In my 18 years at Brooklyn College, I cannot recollect our department turning down a single cosponsorship request. Local politicians weighed in, as well. The opinions on the event varied: cancel the event, withdraw the cosponsorship, provide an opposing view, don't interefere with academic freedom. But, ALL condemned the BDS movement. Well look, I couldn’t disagree more violently with BDS as they call it, Boycott Divestment and Sanctions. As you know I’m a big supporter of Israel, as big a one as you can find in the city, but I could also not agree more strongly with an academic department’s right to sponsor a forum on any topic that they choose. We collectively believe that the BDS movement is a wrongheaded and destructive one, and an obstacle to our collective hope for a peaceful two-state solution. These simplistic and one-sided approaches do a disservice to the cause of peace and stability by unfairly placing blame entirely on one side, and by attempting to delegitimize one party on the world stage, and will do nothing to bring either party back to earnest negotiations or enhance a better understand of complexity of this conflict. Finally, to those who have voiced concern that our decision to uphold the rights of our students and faculty signals an endorsement of the speakers' views, I say again that nothing could be further from the truth. Moreover, I assure you that our college does not endorse the BDS movement nor support its call for boycott, divestment, and sanctions against Israel. As the official host of the CUNY center for study abroad in Israel, our college has a proud history of engagement with Israel and Israeli universities. In fact, over the past two years we have renewed our efforts to reconnect with existing institutional partners and to develop new relationships as well for faculty and student exchanges with Israeli institutions. We deeply value our Israeli partners and would not endorse any action that would imperil the State of Israel or its citizens, many of whom are family members and friends of our students, faculty, staff, alumni, and neighbors. "I personally abhor and am appalled by the aims of the boycott, divestment and sanctions movement." ...In addition to Thursday evening's event, at which I encourage those with opposing views to participate in the discussion and ask tough questions, other forums will present alternative perspectives for consideration. The college welcomes participation from any groups on our campus that may wish to help broaden the dialogue. At each of these events, please keep in mind that students, faculty, staff, and guests are expected to treat one another with respect at all times, even when they strongly disagree. According to reports in the New York Daily News and Tablet Magazine some Jewish attendees, including the Daily News reporter who wore a yarmulke, were asked to leave or were not admitted, even though they had confirmed a reservations. 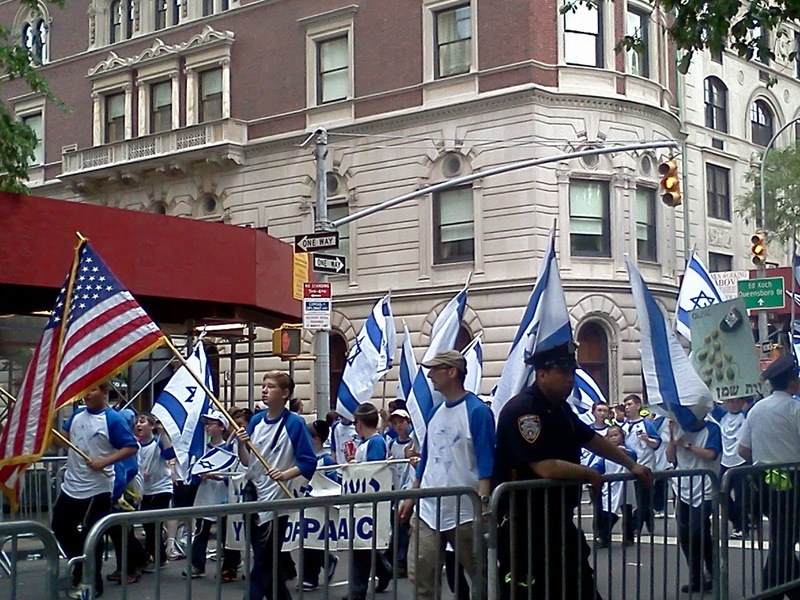 The PIJ advocates the destruction of Israel through violent means; it approaches the Arab-Israeli conflict as an ideological war, not a territorial dispute. PIJ members see violence as the only way to remove Israel from the Middle East map and reject any two-state arrangement in which Israel and Palestine coexist. PIJ is responsible for dozens of suicide bomber attacks inside Israel. It has recruited children for suicide missions. PIJ operatives fired hundreds of rockets from Gaza at Israeli civilians in 2012. This video of Khader Adnan was filmed at the funeral of one of PIJ's senior commanders in October 2007. O Quds Brigades, Strike a blow! O Quds Brigades, Shake the earth! Who among you is the next suicide bomber? Who among you will carry the next explosive belt? Who among you will fire the next bullets? Who among you will have his body parts blown all over? *Suicide bomber who murdered 5 Israelis in Hadera in October 2005. So, why would a supporter of the "non-violent" BDS movement write in a March 8, 2012, Linewaiters' Gazette member contribution to "please think about Khadar [sic] Adnan" when voting on the BDS referendum? The author, Tara, identifies Adnan only as "on his 62nd day of hunger strike protesting Israel’s detention of him without charge or trial." Tara doesn't mention his ties to the terrorist group responsible for the murders of scores of innocent Israelis. Israel uses administrative detention when an imminent risk to the country’s security is believed to exist. The process is conducted under full judicial review by Israel’s military and the Supreme Court. European countries and the United States use administrative detention, as well. The process is legal under international law, according to the fourth Geneva Convention, the International Covenant on Civil and Political Rights, and the European Convention on Human Rights. Was Tara unaware of Adnan's connection to PIJ or did she intentionally conceal it? It doesn't matter. Whoever introduced Adnan as talking point into the BDS repertoire knew exactly who he is and what he stands for. 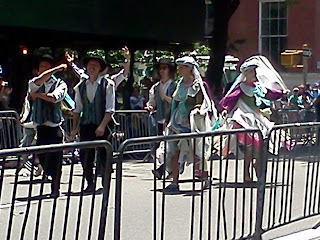 Sorry, but there is no justification for supporting a terrorist group at the Park Slope Food Coop. The Park Slope Food Coop runs on the good will of its members. We show up for our shifts on time faithfully and we work diligently. We are patient when the store is crowded and the lines are long. While the products are not as difficult to obtain in other stores as they once were, the savings are still substantial. It all works because there is the expectation that all are welcome and there should be mutual respect for boundaries and sensibilities. I have written previously about the importance of neutral spaces. 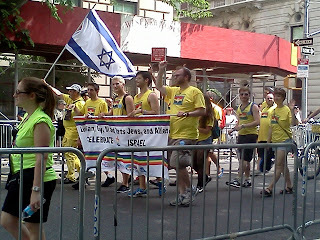 BDS is a hate movement. Plain and simple. It has no place in our coop. It should never have come up for discussion. The people who brought it and continue to submit letters to the Linewaiters' Gazette are violating our community's core values. These anti-Israel letters are harmful to the community. They contain distortions, misrepresentations and false statements. The letters are designed to instill hatred; the content is at times anti-Semitic. or - if enforcing guidelines is too onerous for a grocery store newspaper - put a moratorium on these letters. As I mentioned last time, my letter received 2 responses from BDS supporters. Here is where it gets interesting and we see the logic-challenged thought process of the BDS advocates. the author implies that those who criticize the actions of the Israeli government and military are “anti-Semitic.” This is a common denunciation offered by those who defend Israeli policies. But I didn't imply anything, did I? I didn't mention Israel's policies, at all. I quite clearly stated the letters are designed to instill hatred. A pretty serious charge left unanswered. And it should not be assumed that the 60% represented uniform sympathy for the Israeli government’s position, and even less so that many believed anti-Semitism motivated the boycott backers, perhaps the most absurd of all the anti-boycott advocates’ claims. One would be hard-pressed to find actual expressions of anti-Semitism and hate in the pro-boycott letters (all available for review in the Gazette archive on the Coop’s website) as opposed to the ubiquitous accusations of them in the anti-boycott letters. What’s obvious from those letters is that any and all questioning of the Israeli government’s actions should be viewed as anti-Semitism and hate, a sort of presumptive reading between the lines and pop-psychoanalyzing. David is addressing things that I didn't say. Aside from that, one wouldn't have to look very hard at all to find "actual expressions of anti-Semitism." So, I hope to use the next several posts to list them. Even though the BDS initiative at the Park Slope Food Coop was soundly defeated last March, one pro-BDS Coop member continues to submit a letter to each issue of the Linewaiters' Gazette. These letters portray purely innocent, powerless Palestinians oppressed by a purely evil, guilty Israel. The content is inaccurate and incomplete. After about 8 months of this I submitted my own letter to the editors suggesting the development of clear guidelines for BDS letters. If instituting fair guidelines is too onerous for grocery store newspaper, then perhaps a moratorium on BDS submissions is more appropriate for the Gazette. My letter generated 2 responses; one from a "David", one from a "Naomi." Both objected to my characterization of the BDS defeat in March 2012 as an "overwhelming rejection." The BDS proposal obtained the support of less than 4 percent of the membership. Among the self-selected, highly motivated 10% of the membership who attended the March General Meeting, BDS was defeated by a margin of 3 to 2. BDS supporters are hardly the first people to try to spin a loss into some kind of victory. The "even though we lost, we won because...." meme is well documented at the Divest This! blog. BDS supporters hate to be told they have lost. But, what about the remaining 90% of members who, for whatever reasons, chose not to attend. Can we assume anything about that? David speculates it reflects “fatigue and burn out over the drawn-out debate, the desire that the issue just go away.” That sounds like a rejection to me. I think this vote showed us how the General Meeting system of decision-making is flawed as a democratic process. About 6% of members were able to prevent the whole Coop from voting on this issue. Really? 6% stopping the referendum is bad, and 4% pushing it forward is ok? Really? Can anyone say "sore loser"?